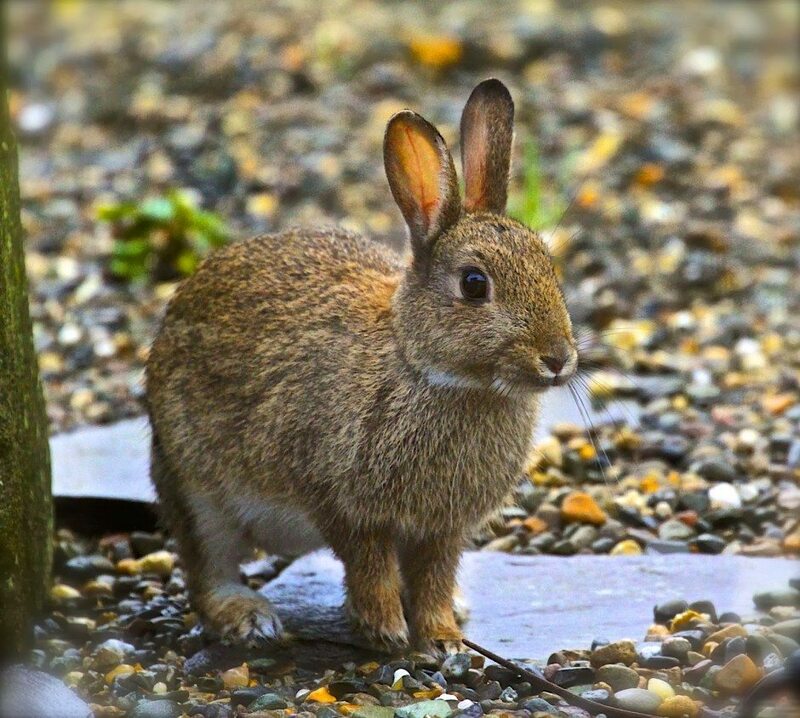 A young rabbit joined me for breakfast this morning. There were moments of complete relaxation while we both nibbled. I knew this was a temporary respite. As soon as there was a flicker of the unexpected one of us would bolt for safety. Then I turned my head for a moment and he was gone. Thank you, he's a regular visit along with the whole family! You are so lucky to have such a cute early morning visitor. Very nice detailed image – you must have very clean windows! Lol! Mairéad the windows were cleaned recently alright….wow it's a whole new world out there! Kamana, he's a cutie alright! Awww, what an adorable photo! That's such a lovely treat for the morning. Cudowny gość Cię odwiedził. Śliczne zdjęcie. Pozdrawiam. A wonderful guy you visited. Cute picture. Yours. I do so love your photos and words. I lost this site but now I found it again…..twas meant to be! He is such a cutie close up but I'm in the process of rabbit proofing my garden ( fencing) to keep them out because they did so much damage last year. I just wish they'd eat the grass instead of the garden. So lovely, we see them each morning when we take the dogs for a walk. What a sweet friend to join you! !